As a kid growing up in the late 1970s there were two things that I really loved; Blondie (especially Debbie Harry) and football, especially goalkeeping legend Peter Shilton. Shilton was my hero and my bedroom wall reflected that – pictures of him diving acrobatically through the air to make yet another fantastic save interspersed with posters of Debbie Harry looking utterly lovely. The beautiful game meets just plain beautiful. Imaginary scenario: Debbie Harry taking shots at Peter Shilton. The best of both worlds. 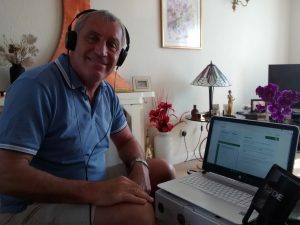 Imagine my delight when I got asked last Sunday if I was available to go to Peter Shilton’s house for a 5Live radio interview. Love to. Despite being England’s highest capped player ever, footballers in Shilton’s day just didn’t earn the millions they do today. He lives in a nice, smart cul-de-sac but it’s otherwise fairly unassuming. His neighbours will pick up their milk in the morning and think “Oh there’s Peter Shilton mowing his lawn.” I can’t imagine that happens to Joe Hart very often. After the interview we sat in his garden drinking tea and talking about you’ve guessed it…football. Best not to mention the posters – don’t want to scare the man. What a privilege to sit talking to my childhood hero and hearing his thoughts on the infamous Maradona ‘Hand of God’ incident (I couldn’t possibly divulge) or winning the European Cup…twice, or Brian Clough. 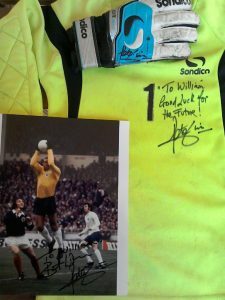 A lovely chap, he kindly signed some bits I’d brought along for my little boy and on my way I went just about as big a fan as I had been 30 odd years earlier. Second imaginary scenario. It’s 1983 but you can only meet one of your heroes, Debbie Harry or Peter Shilton. Which one do you choose? Hmm, do you think she’s any good in goals? Sorry Shilts. I’ve been the voice of many national and global football productions for TV, radio, online, PC games and interactive productions. 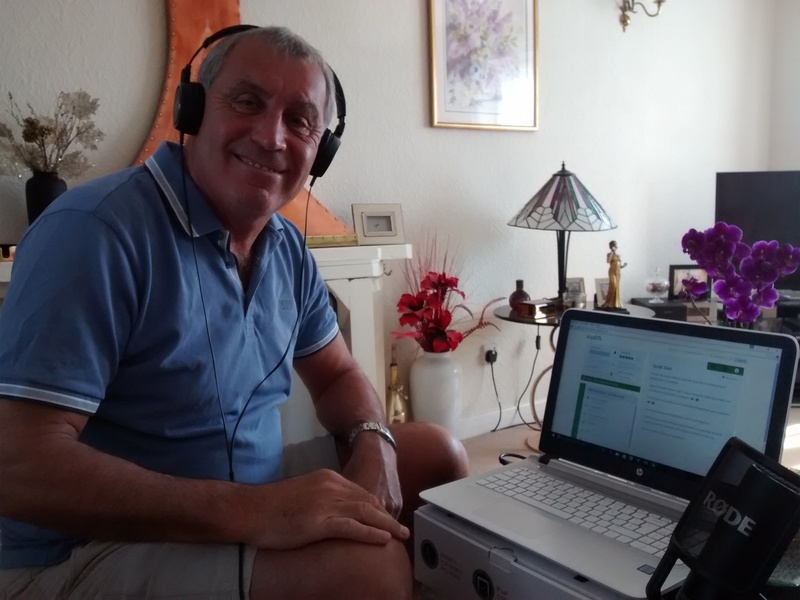 To hear my football commentator voiceovers click here or click here to hear other voice demos. This entry was tagged Commentator, football, Football commentator, Football voice over, jonathan clays, Olympic voice over, peter shilton, sports commentator voice over, voice over, world cup 2018 voice, world cup commentator voice, world cup voiceover. Bookmark the permalink.